Every month is an adventure with the Safari Friends! This 22-piece Safari Friends Months of the Year Mini Bulletin Board features adorable safari animals on each month headline. These month headlines are great for use with a calendar chart during a daily calendar lesson or circle time. Also included in the set are 10 accents (4 safari leaves, 3 binoculars, and 3 pith hats). 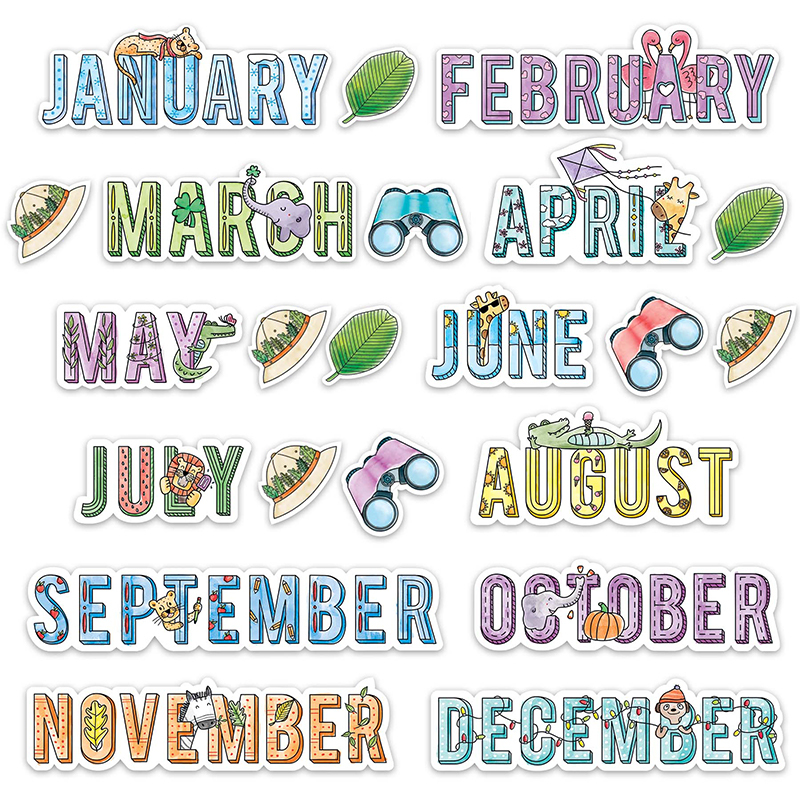 Seasonal/holiday designs featured on each month: January - snowflakes; cheetah, February - pink hearts; flamingoes, March - shamrocks; elephant, April - flowers and clouds; giraffe, May - flowers; crocodile with butterfly, June - suns; giraffe, July - watermelon slice; lion, August - suns, ice cream cones, and orange slices; crocodile, September - apples and pencils; cheetah, October - pumpkin; elephant, November - fall leaves; zebra, and December - string of holiday lights; meerkat.